Even though it might seem as an ultimately interesting task, organizing a wedding can be quite nerve-wracking and challenging. This doesn’t mean that it’s not an interesting task, though, but it means that you will have to be very aware of all the things that can go wrong and do whatever you can to prevent them. Forgetting certain things is also something that’s highly likely, so you will need as much help as you can get in this department. 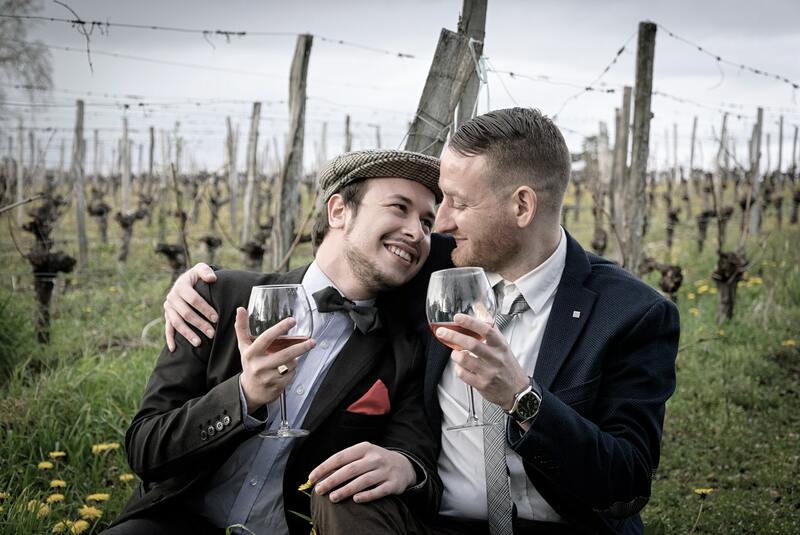 Now, organizing a gay wedding can be even more challenging, especially because your state or country does not recognize gay weddings or some venues will not be willing to rent their space for a gay wedding. Be as it may, this is your day, so make sure to start with all the preparations at least 6 months before the actual wedding. The first thing you need is to create a plan of organization. This could be a shared plan that both of you will take into your own hands, but mind that there are many things that you should worry about. First of all, you need to determine the budget together, and see how much you are willing to spend on each of the following things – venue, drinks and food and decorations. Setting a budget is your main priority, and once you’ve done that, make sure that you choose the venue that you’ve always wanted. This is the first thing you should do as some couples book popular venues even a year or two before their actual wedding! 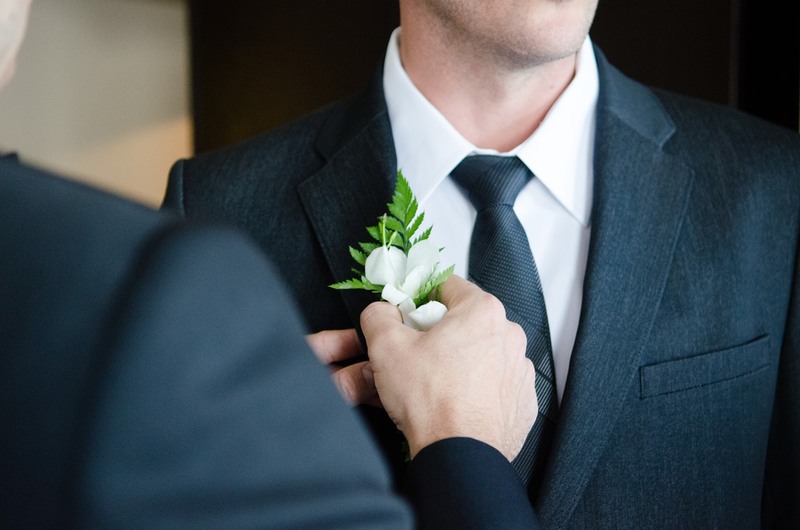 So, apart from the venue, which is your number 1 essential, it’s time to think about the other things that are of the utmost importance for the wedding. The first thing here is the décor of your ceremony. You can either choose to make the décor yourself, or ask for help from a professional which might be a pricier option but definitely one that you will like more. A thing that you should never forget is your outfit, so this should be determined as soon as possible. Since this is your day, make sure that you opt for some of the best tailored suits as you want to emphasize your figure in the best way and look the best version of yourself. This way, you will have plenty of time to focus on other things. Once you’ve finished with the big expenses such as the venue, the decoration and your amazing outfits, it’s time to think about the things that can either make or break every wedding ceremony. First of all, the buffet. You can choose whichever caterer you want, but make sure that you have plenty of food for every guest. If plan to have a big number of invitees, it would be a great idea to install not one, but two buffets so that you eliminate the risk of people waiting a long time in the queue for food. Also, think about the bar – you will probably have all the most important drinks such as high-quality whiskey, beer, wine and champagne, but you can also be slightly more original here and introduce some of the best wedding cocktail parties. Having a cocktail menu where your guests can see what cocktails they can order is a great idea, and you can also choose some cocktails that will scream LGBT because, after all, we are celebrating another LGBT wedding! Hey, good luck with organizing this amazing event! We are pretty much sure that you will successfully take care of all the things, but just in case, make sure that you have a checklist so that you don’t forget anything! What else is left to say? Have a great night and a great marriage!